Welcome to ClientSuccess! We’re excited to have you as a partner. Our goal is not only help you through our software, but to become a valuable resource for you and your team. We want to help you build a world-class customer success team with excellent retention and growth across your customer base. If you're the first ClientSuccess user on your team, you should have already received your username and password via email. If not, please reach out so we can get you into the platform. Below is a list of what you can do in order to get started. 1. Sign in at app.clientsuccess.com. 3. Personalize the default SuccessCycle template and add additional cycles as needed. Check out best practices here. SuccessCycle templates can contain due date windows, relative to the cycle start date and the subscription renewal date. Initial due dates for SuccessCycles are calculated when it is applied to each client. However, you can recalculate due dates by changing the cycle start date. In order for due dates based on the client renewal date to be calculated, a renewal date must exist before the cycle is applied. Therefore, if your SuccessCycle contains due dates based on the client renewal date, you'll want to add the subscription for the client before assigning the SuccessCycle. Alternatively, you can also recalculate the due dates after the subscription has been added. 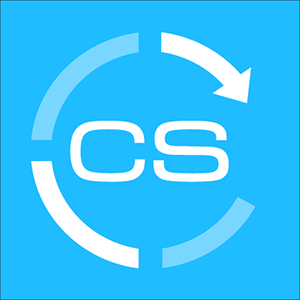 While SuccessCycle templates can be edited at any time, changes to dates are not automatically pushed out to active instances of SuccessCycles. So you'll want to consider due dates before applying cycles to clients, but also remember you can always use the recalculate feature. ClientSuccess' Type field can be used in many different ways, such as segmenting by industry, size, or package. If integrating with Salesforce, you can map this field from Salesforce to ClientSuccess in order to avoid double-entry. However, it is a field then owned by ClientSuccess so keep that in mind. You can also sync additional account details for a bi-directional sync. 5. Personalize the reason code library. Check out best practices here. Reason codes are used to report on risk, so the codes are meant to be negative in nature. Reason codes cannot be deleted once they are used because they are linked together for a clients' pulse history. We recommend that you review the default library of codes before using the platform and remove any that you do not anticipate using as well as add more customized reasons to meet your particular needs. Codes you'd like to retire can be re-purposed into something else by renaming them (or by adding "No longer in use", etc to the reason code"). 6. Personalize the alert settings template. New users receive a copy of the global alerts template as the default for their personal settings. Individual alert preferences can be adjusted under Your Settings > Alert preferences. 7. Add additional team members. Users must exist in ClientSuccess before importing clients (from Salesforce or via CSV import) in order for ClientSuccess' "Assigned CSM" to be set properly. Note: If you will be integrating with Salesforce, skip steps 9-11 and complete the Salesforce integration instructions. 10. Add subscriptions to your clients. 11. Add contacts to your clients. 12. Set up the Support View module. 13. Set up usage tracking. 14. Enable the Scorecard module.